Please download or clone the solution from GitHub: https://github.com/codehollow/AzureBillingRateCardSample. This error occurs if the application does not have enough permissions. I solved it by doing Step 3: add permissions to the service management api. If you have another application, then you probably need to add other/additional permissions. 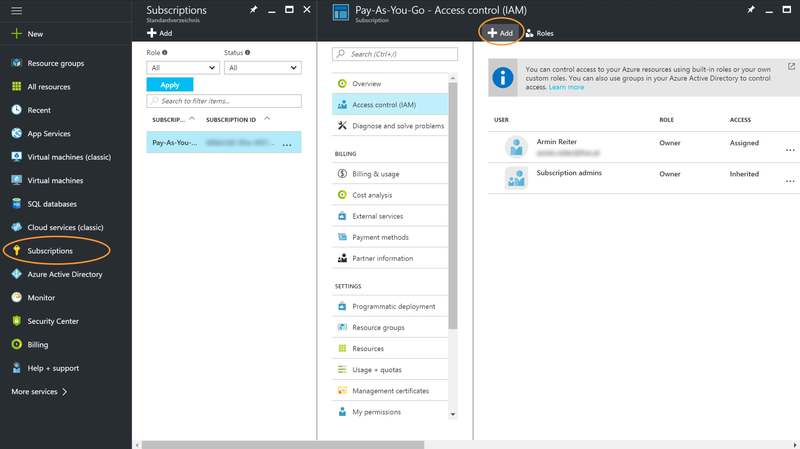 For the RateCard Billing API it’s enough to configure access to the Service Management API. 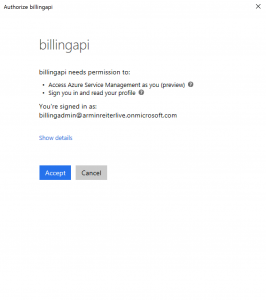 How can i do this using a Azure CSP account? If your account is an Azure CSP account, then it should work the same way as described above. 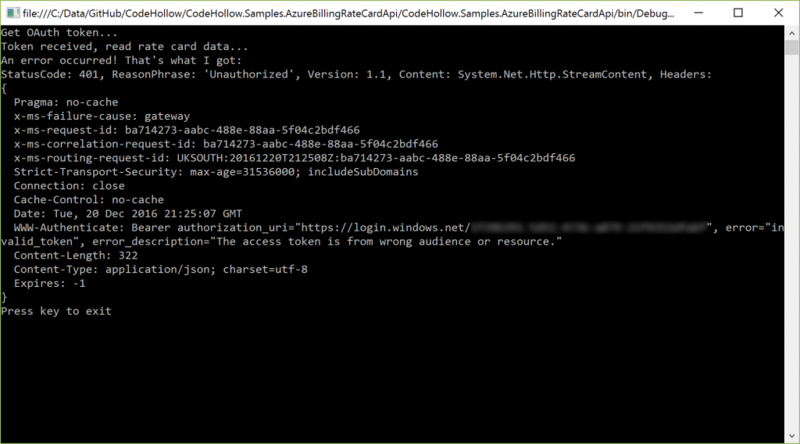 According to: https://blogs.msdn.microsoft.com/pandrew/2015/08/26/getting-started-with-the-cloud-solution-provider-apis/ – you can use the same APIs to read the ratecard data (I’ve not tested it). The 403 forbidden usually indicates an issue with the configuration of the application in the Azure active directory. 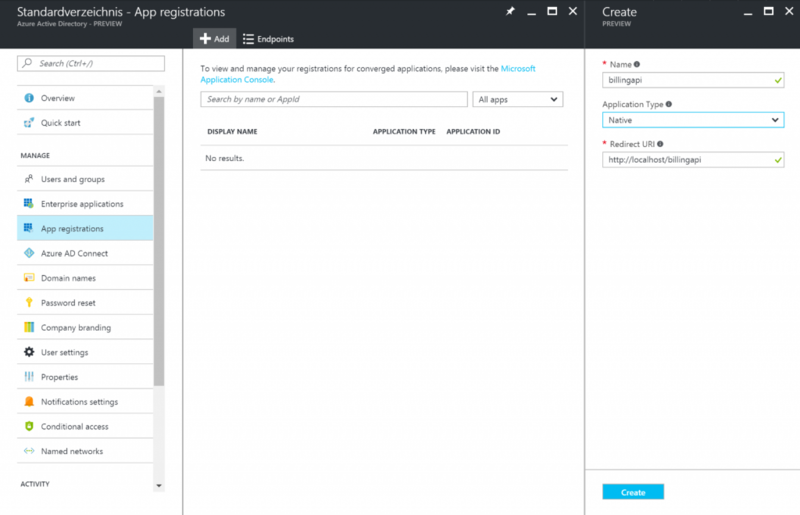 Were you able to give the user/application the rights in the Azure AD? What’s the full error message that is returned by the API? if you are the CSP, then you need to use the Partner Center SDK (https://msdn.microsoft.com/en-us/library/partnercenter/mt774619.aspx). 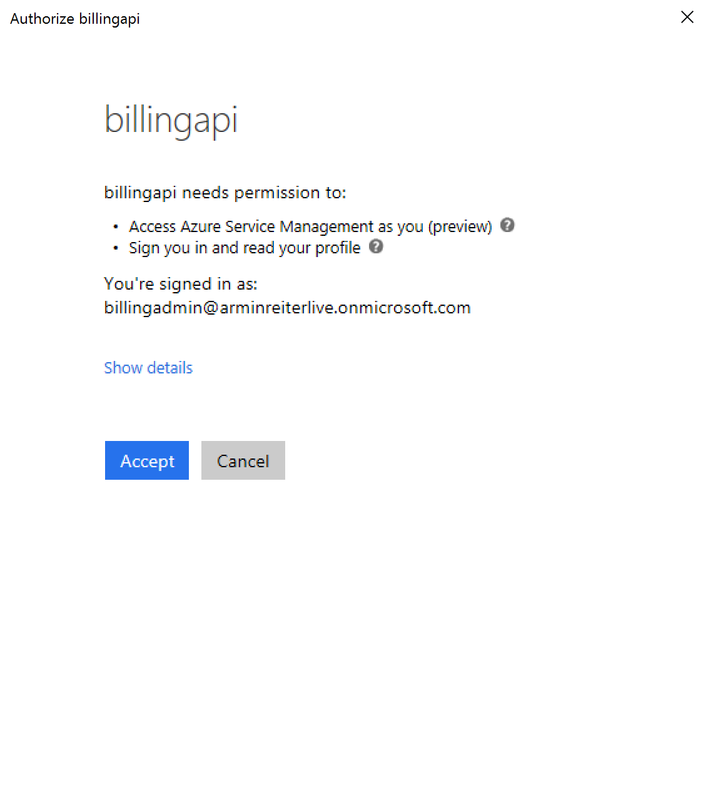 Unfortunately, I do not have access to an CSP Azure account, so I can’t test it. 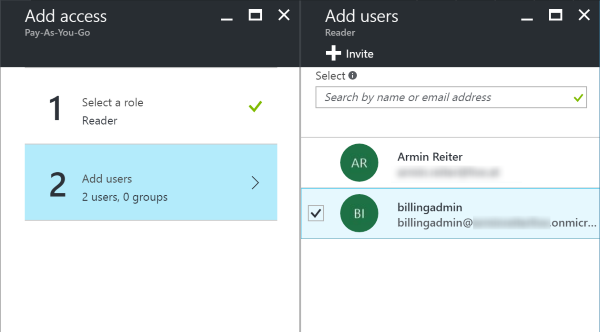 If the permissions on the active directory and the permissions for the subscription are set (step 5), then it should work. I just can imagine that there are special privileges/permissions for CSP accounts. Probably the microsoft support (https://blogs.msdn.microsoft.com/mast/2013/10/14/windows-azure-support-how-it-works-and-how-to-receive-help/) or your CSP can help. Sorry, that I can’t help you there, but please let us know if you have any news about that.